If you are looking for a money saving alternative when making tacos, I have an awesome solution for you. As much as I would love to take credit for this idea, I cannot. 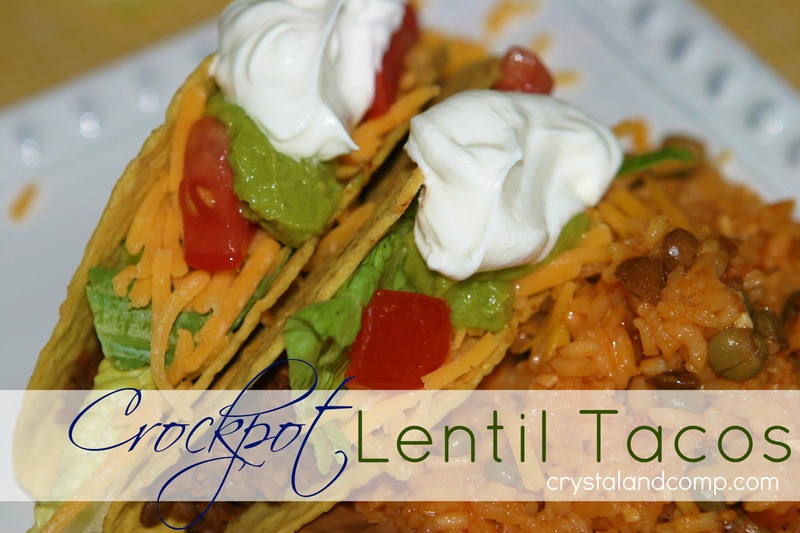 My blogging pal Tiffany, from the food blog Eat at Home, shared a lentil taco recipe on her site over a year ago. I started serving it to my family and we loved it. With that said, you know how much I love my crockpot and easy recipes. I just knew this was a meal I could make in the crock and walk away and forget about it until it was time to serve dinner. I tried it and love it. Don’t turn your nose up at lentils. 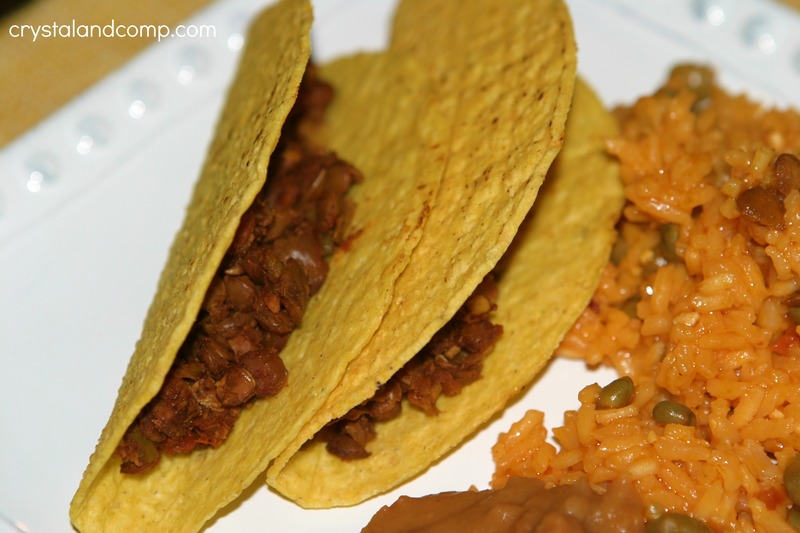 The flavor this taco filling has is amazing and it is very possible your family will not even notice that it is lentils instead of ground beef. What I love the most is you can get a pound of lentils for about 1/4th of the price of a pound of hamburger meat and the protein and fiber benefits are pretty awesome. And for what it’s worth, I have two very picky eaters who eat Lentil Tacos. 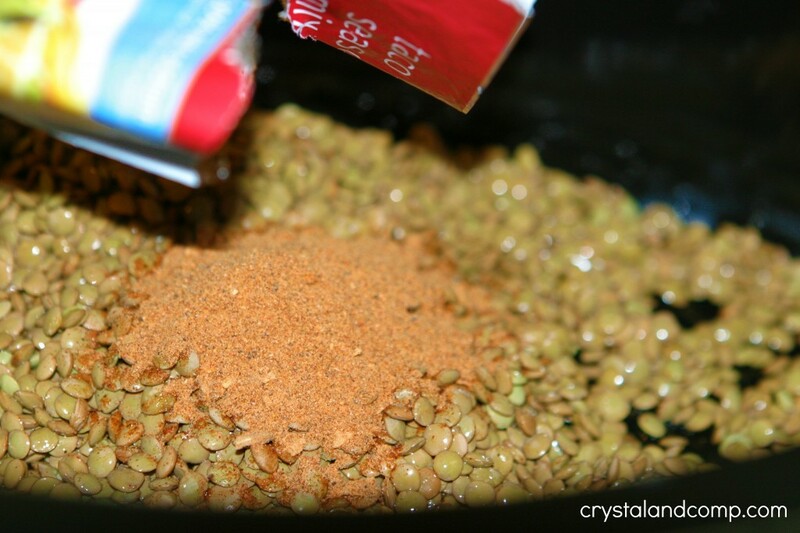 Place your washed lentils into your crockpot. Two quick thoughts. Your crockpot cooks best when it is 1/2 to 2/3 of the way full. 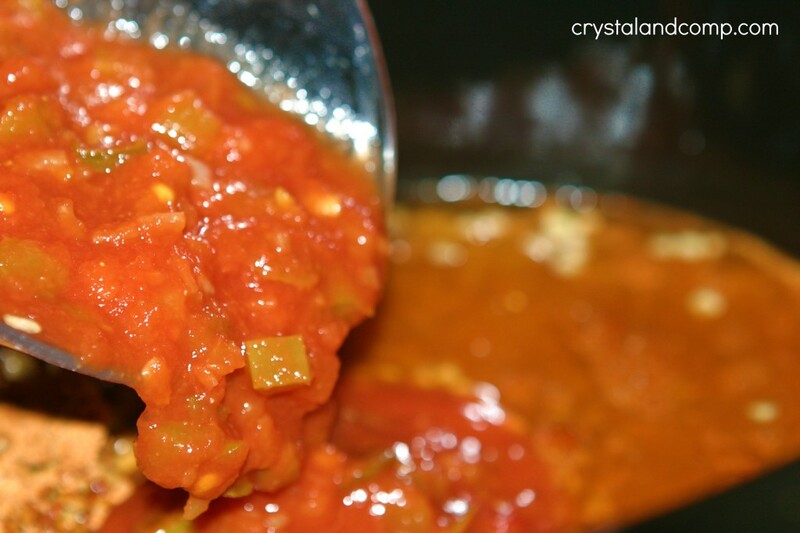 Read all of my crockpot cooking tips for fail proof crockpot cooking. Also, this recipe can be easily doubled to stretch this filling even further. 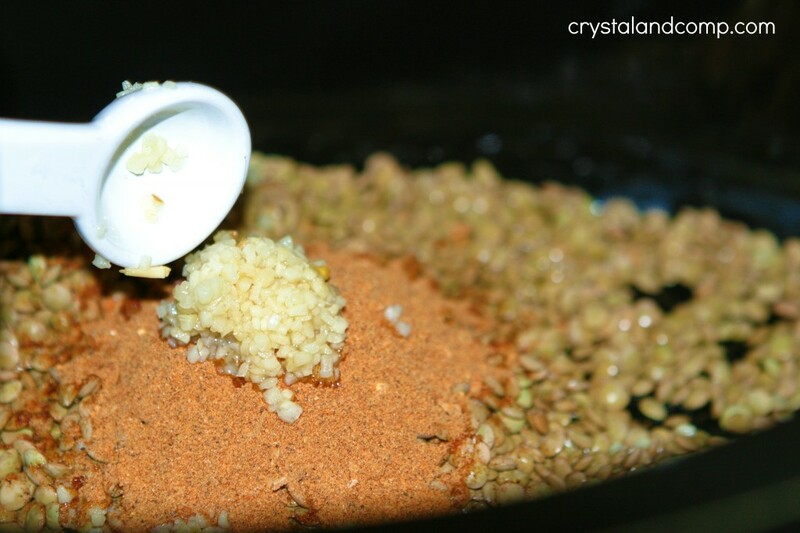 Add the taco seasoning over the lentils. You could certainly swap out your favorite broth for the chicken broth. Stir and pop the lid on your crockpot. 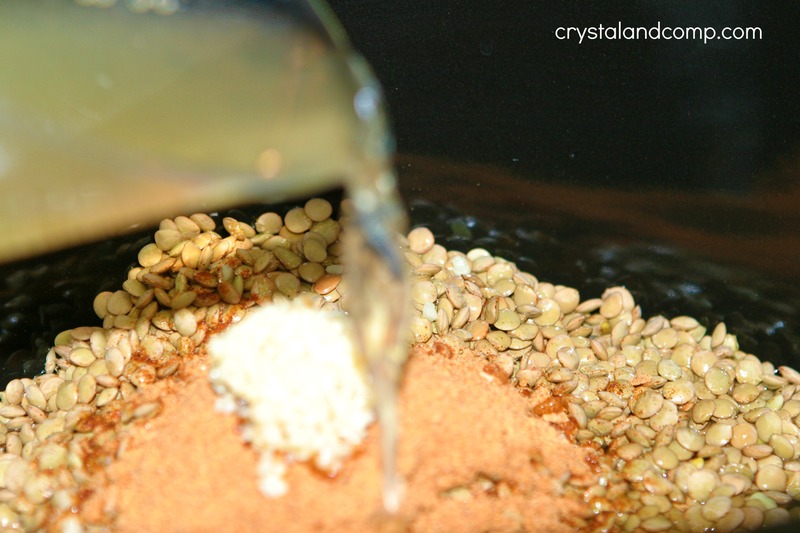 When the filling is done the lentils will have absorbed all of the liquid. Fill the taco shells with the lentils. Top the tacos with your favorite toppings; like cheese, lettuce, tomatoes, etc. We served this with Puerto Rican Rice and refried beans. If you have leftover lentils, make Lentil Nachos. Yum! This recipe was inspired by and adapted from Lentil Tacos at Eat at Home. Thank you for sharing this recipe I have recently been trying to find ways to eat healthy and shrink our food budget what a great idea. I have been putting beans in our meat (2-3 parts beans to 1 part meat) for a couple of years but never thought of using lentils in place of meat.